Hi Kari. I expected this post to be from Alaska, being that your last was from Seattle, I believe. Are you going to hike the trail start to finish? It’s something I wanted to do myself when I was younger. Who knows maybe perhaps I still will someday. Have Fun! alaska is still a nearby dream! 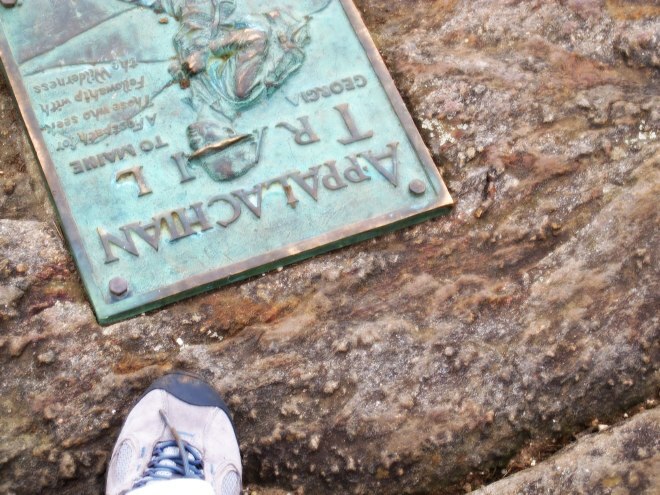 i’m on the appalachian trail. going to maine. thanks, bob:) hope to see you on the road someday. Hey Kari. I have been thinking about you and wondering when the adventure would begin. I am glad you are on your way. I look forward to “tracking you.” I saw this cool hiking sculpture in Roanoke that I want to get a picture of for you. It always makes me think of you. Unfortunately it has a Target, strip mall and movie theatre nearby so I may have to be creative with the background:) I miss you. I hope I can see you as you trek through my neck of the woods. Love to you. I”m looking forward to following along on your journey on the trail through your photos!